Allegiance Heating is a premier heating and air conditioning contractor serving the Chicagoland area. Family-owned and operated for over a decade, we’ve eaed the trust and respect of thousands of clients in Chicago and the surrounding region. In addition to their industry-best knowledge about HVAC systems of all types, our technicians embrace a client-focused philosophy that puts the customer first during every phase of every project. 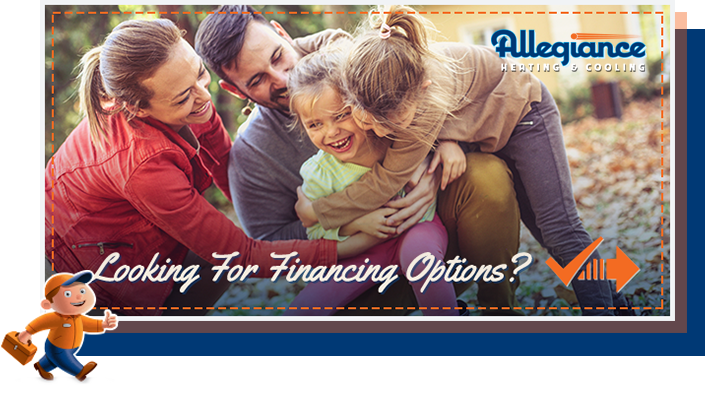 Allegiance Heating is a premier heating and air conditioning repair contractor serving the Chicagoland area. Family-owned and operated for over a decade, we’ve earned the trust and respect of thousands of clients in Chicago and the surrounding region. In addition to their industry-best knowledge about HVAC systems of all types, our technicians embrace a client-focused philosophy that puts the customer first during every phase of every project.Allegiance Heating tailors each heating and cooling system to your comfort, budget and system requirements.